Buy cart more than $40, FREE delivery! [Q]: You update "Estimated shipping date", BUT, I did NOT get it! [A]: "Estimated shipping date" (the term used by Qoo10) is "courier collect date", NOT the date you receive items. Courier needs 2 to 3 work day to fulfill task. Depends on location zones, we use courier (Qxpress Qoo10 courier, NinjaVan), and our in-house. On the day courier collect ordered items, Qoo10 will email you track ref. [A]: -> under "Shipping Information", -> row "Delivery Company", click "Tracking"
[Q]: Qxpress Shipping History/ Delivery Status shows my items were delivered to me. But, i have NOT received from Qxpress. What shall i do? We take any false delivery (if any) very seriously, please keep us in loop. You can return the item (un-used, with full accessories, with full packaging) within 7 days after receipt. Help alert us the SingPost tracking reference. We will acknowledge the refund process after receiving returned parcel. Do note that only the item price will be refunded, NOT the shipping fees which was incurred when delivering you the item. We do not receive funds as soon as you make payment. Instead, the funds will only reach us 15 days after clients acknowledge receipt, or 30 days after we send out orders. As such, the funds (of cancelled transaction) are not kept by us. Refund is managed by Qoo10 to flow back via same payment mode, ie, when you pay via Visa, you will get the refund via Visa. 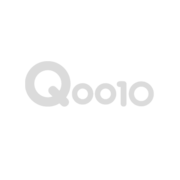 Allow Qoo10, bank or credit card company some time for the process . BEST: text: 90038800, or email: HomeBuddy@outlook.com, we have the records to follow up. Try NOT to leave your questions in Qoo10, as we may not check periodically. Thank you for choosing Acev * HomeBuddy. Happy with purchase especially for my kids. Delivery guy is polite and packaging is intact. so fast delivery in two days. i love it. its so big than i expect. its more than 1.6m. so huggable. I was happy to receive the item before leaving for holidays with my family, though I did not inflate the floaty for testing. Once arrived at the hotel, I inflated the head and body of the Pink Flamingo with the hand pump and left it overnight to inflate the wings the following day. I am sad to realised that the body of the Pink Flamingo deflated 20% by the morning. But I continued to inflate the wings and pump up the body to use it in the pool. It lasted the entire pool session, however, by the next morning the right wing and the body had deflated by 30%. Still I pumped up the floaty and continued to use it. By the second hour the body of the Pink Flamingo had deflated 20% and the right wing 30%. At the end of the second day, I decided not to bring the floaty back as it is crappy and not worth the effort to bring back to SG. I still have the Giant Swan which I have no confident that it will last. Thats my experience with the Inflatable GIANT Swim Float. Good luck to those insisting to buy! Thank you. Received in goo condition. Kids have good time at the pool. The delivery was not made on the timing I specified and which I paid extra for it to be delivered in the evening at extra S$5 charged to me. Will appreciate a refund of this to me. Thanks! Bought 2 inflatable float. Delivery was fast. Item looks great. [Q]: How fast you send out? [A]: Courier collects by 3rd work day. [Q]: How soon to reach buyers? [A]: Within 6 work days from orders date. Courier needs 2~3 work day to fulfill task. Courier may NOT call in advance. [A]: You shall choose the relevant option under "Special delivery request" when purchasing. Though may not be able to fulfill 100% to the request time slot, due to different location zones. But, the delivery time will be close to your request. Unicorn inflatable . Do you have stock ? How fast can you deliver it ? I need it urgently . There is option for delivery. Shall you need items urgently, client can opt for next work day (with surcharge, as we need to assign it to dedicated courier). Hi when restock for 1.6 light brown? Restock will not be so soon. Perhaps you may opt for Dark Brown which we have ready limited stocks. I received info that estimated delivery on 03rd april 2014. Can i have the confirmation on my delivery? Hello, Jim*** We had attepmted on 03.Apr noon. And had called your listed number ended with 0867 (from number ended with xxxx4462), this afternoon around 1pm, but to no avail. And had tried deliver at 3pm, but to no avai. You can call or text us 90038800 for another schedule. Cheers.